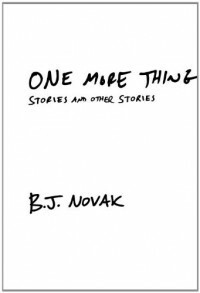 My book club chose BJ Novak’s book, “One More Thing”. I wasn’t able to attend the meeting where the books were chosen, but my guess is it was chosen because Novak was an actor in the American “The Office”, a pretty funny show (at least the episodes I’ve caught). Anyway, the only things I could really think were: "Wow, Novak is a pretentious guy who thinks he is oh, so smart and clever and witty and intelligent with this smart-aleck humor" and "Maybe this is the proof I really am a robot". Oh, and I wonder how good of a pillow my keyboard would make. Excuse me, I need a nap. No, I did not think the book was funny. The book was dry, boring, humorless, pretentious, and weird. The stories were mundane and simplistic, the writing was dull and insipid, and there were only two scenarios that made me even partially crack a smile. What do you think adding discussion questions at the end of your “humorous” anecdotes says about you as an author and a “humorist”? A) You are clever and witty, seeing something no one else could ever see because you are a super special snowflake. You know because your mother told you so. B) You are pushing for a non-traditional (AKA totally mainstream now) type of comedy. 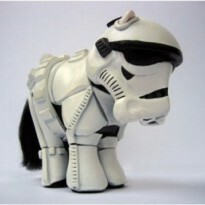 That’s how you roll after all – being counter-cultural (AKA totally mainstream). Excuse you for trying to buck the mold – that’s why you wear only Urban Outfitters, bike everywhere you go, imbibe in organic, gluten-free products at Whole Foods and compost. C) It’s a desperate ploy to make people think you are funny, when you are definitely NOT FUNNY. Extra Credit: Check out some real humorists, such as George Carlin and Robin Williams. Discuss how they employed humor.